Today, Stafford hosted our Regional Speechfest in our LLC. 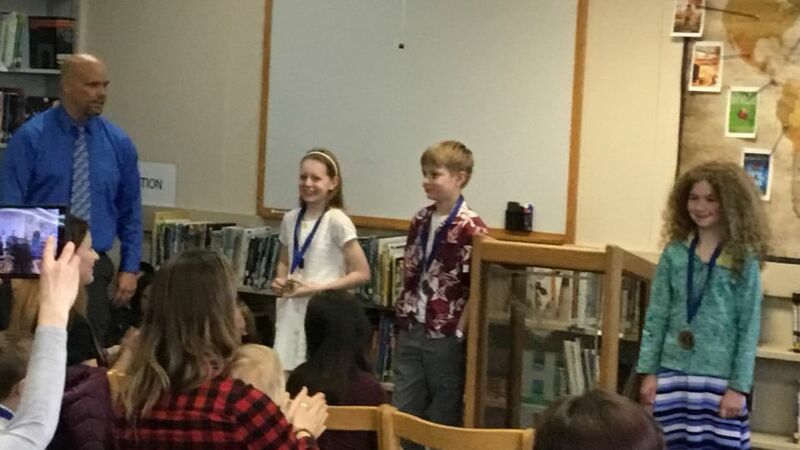 Students from our school and our feeder schools presented their speeches to the judges hoping to win a place in the District Speechfest Competition held next week. 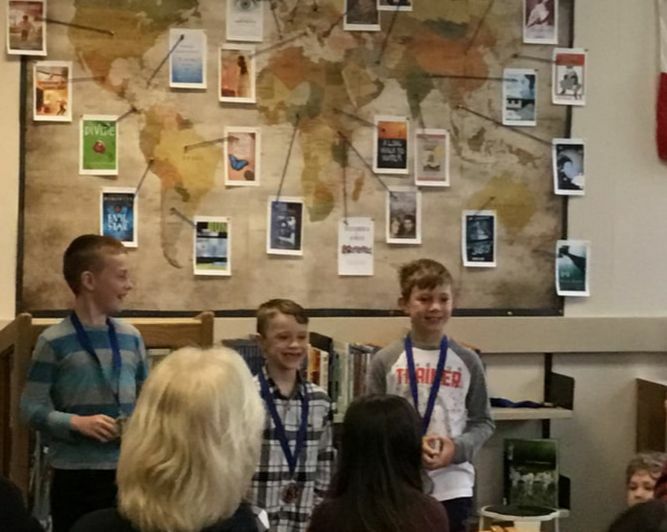 Below are pictures of the top 3 students of each of the 3 grade categories - the top 2 move on the the District Competition. Congratulations to all speakers as the competition was fierce and very entertaining! A big thank you to Mr. Hantke and Ms. Spreitzer for volunteering their time to make some very difficult decisions and choosing the winners. Make sure you drop by the LLC in the next 2 weeks to complete any quizzes you have not done. The last day for quizzing this year's LBOY's is Wed. May 1...you need 3 books completed to qualify to vote and the class with the most books read will also be invited to our Voting/Ice Cream Party on Wed. May 8th. at 12:45. Check out our window display of past LBOY winners and nominated titles throughout the years. Drop by the LLC to learn about some important world events that have taken place during the month of April...world history at its best! 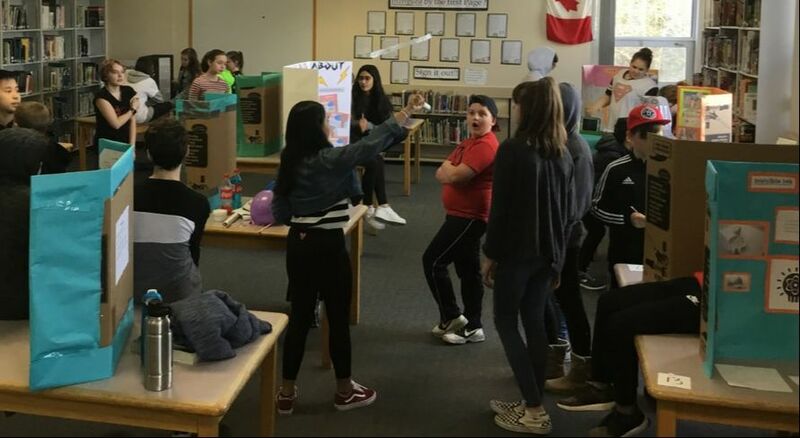 The LLC is once again hosting Science Fair projects for two classes: Mr. Van Meer and Miss Robinson's. As you can tell from the photo, it was a jammed packed LLC with students explaining their experiments and sharing their expertise. Well done by all. The HDS LLC will be supporting our school's "Respect and Diversity Week" campaign from Thursday, February 28th to Friday, March 8th. See our office window for dates, themes and colors. Thanks to Mr. Grill and Mr. Brandolini's classes for sharing their Science Fair projects with our staff and students. Act like a superhero and sign out a Graphic Novel from your library! 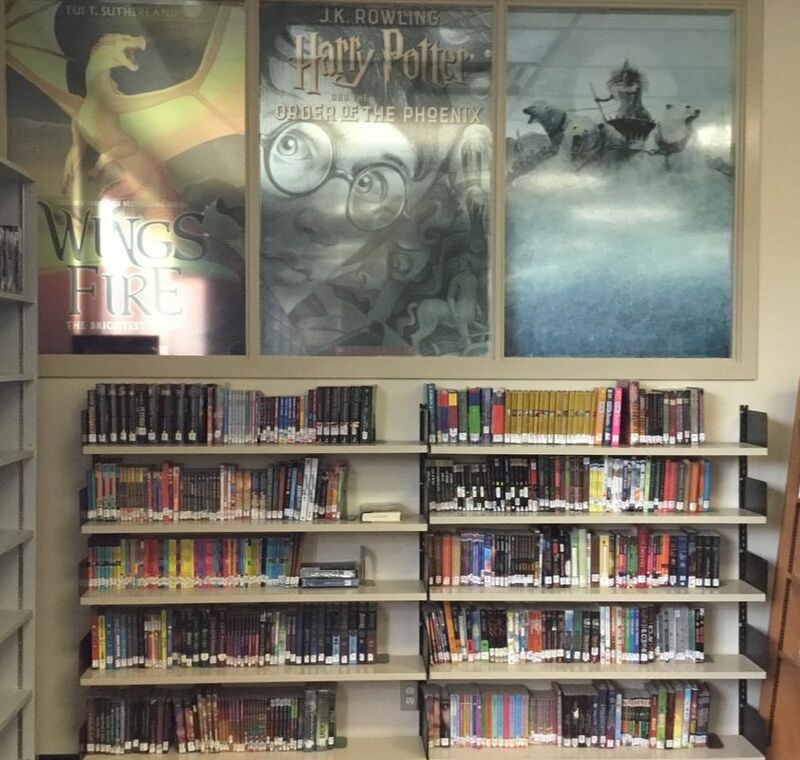 Did you know that Harry Potter, The Hunger Games and Twilight are all books that have been pulled off library shelves and deemed inappropriate for young readers. Freedom to Read Week brings to light these issues of censorship. It highlights the importance of free speech, free expression and how censorship affects us all. Drop by the LLC to see the Banned Book display and sign out a book that has been pulled off some library shelves...fight for your freedom to read what you choose! ​This inspiring Freedom to Read Week video was made by Julia and Danika from the Calgary Science School, who won the Calgary Public Library Teen Freedom to Read Week Video contest. GET BUSTED FOR READING A BANNED BOOK! Congratulations to Brianna in Division 6-2 for winning last month's Face Book contest. Her name was drawn from the names of all students who submitted photos. Brianna won a $10 Starbucks card. Pop into the LLC this week to enter our February/March contest (see details on our 'Contests' page). Thanks to the print shop at Walnut Grove Secondary and Mrs. Markle for some back painting, we now have a cool series fiction area!